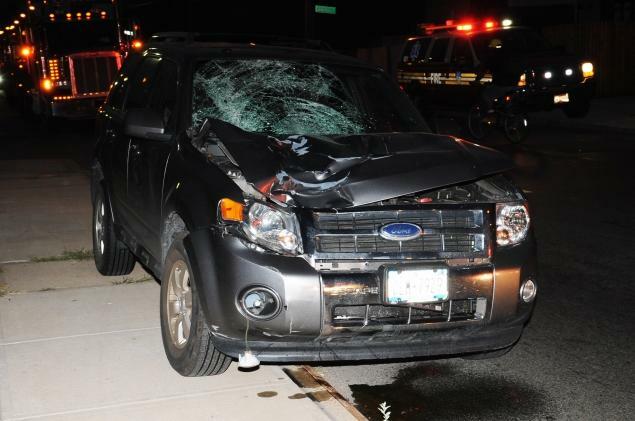 A pedestrian died after he was hit by a car driven by a drunk off duty cop last Friday early in the morning on Richmond Terrace near Simonson Ave. in Mariners Harbor in Staten Island, New York. William Hemphill, 51, a union operating engineer was crossing the road to go to work at the Great Lakes Dredge & Dock Company shipping office, when the car driven by NYPD off duty cop Joseph McClean hit him so hard that he landed a block away. Paramedics rushed Hemphill to a Staten Island hospital, where he died. NYPD cop Joseph McClean was charged with DWI.